In Slavic languages, Slava carries the meaning "glory" and "knowledge", which are just the right words to describe this beauty. 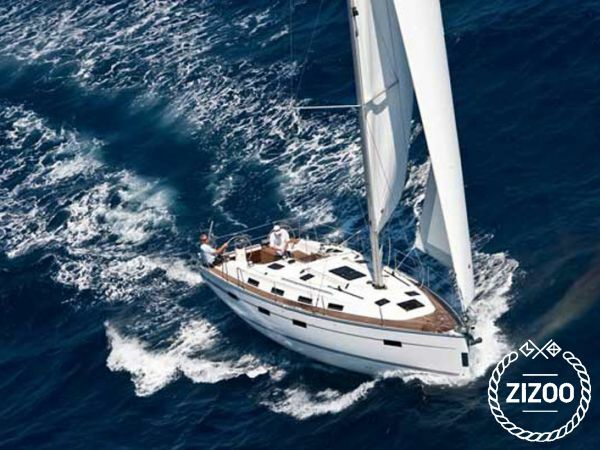 Take this gorgeous 2013 Bavaria 40 out to the open sea, hoist her sails and head out to Kornati National Park. Grab a cold drink, put your feet up, and enjoy the magnificent cliffs on the west side of the archipelago. Trust yourself in her experienced hands and let her show you all the secret little hiding places in the area, she knows them all. Whether it's a family cruise, or a group of friends holidaying together, her 3 double bed cabins and another double in the saloon will comfortably sleep 8 of you. Spacious cockpit seating can also be used for sleeping under the stars, something you should definitely experience when moored at an island away from the light pollution. Sukosan is a great starting point from where you can easily reach a number of islands in the area. Just ask your skipper or Adriatic Charter team for route recommendations.